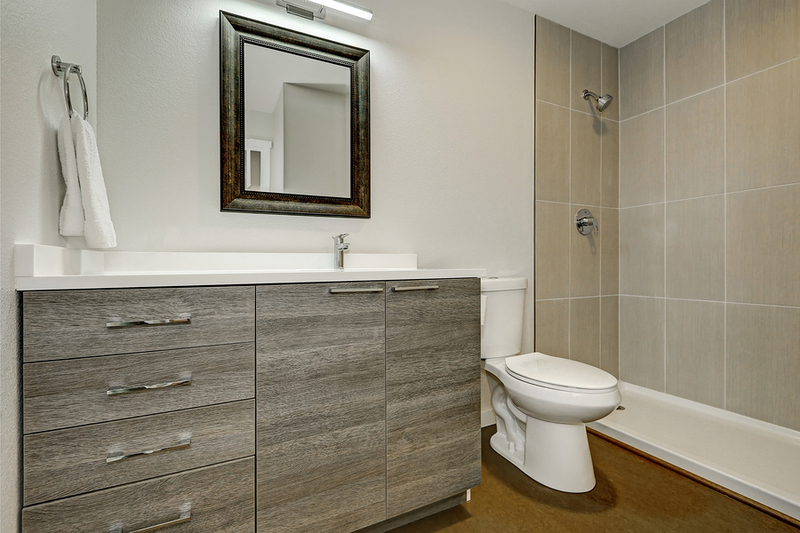 If you are at the point of thinking that your bathroom appears drab and even outdated, it may be time to refresh or renovate the space to transform it into something you will love. From a little splash of color to new tile and fixtures, there are several easy ways to breathe new life into your otherwise ordinary bathroom. Sometimes all it takes is a new color to bring the space from drab to something you will enjoy using more. Whether it is the paint color, the tiles, or even just the linen you use in the bathroom, updating and revisiting your color scheme can go a long way. You can also refresh the bathroom cabinets by updating the color. Another easy update during your bathroom renovation is to switch out the old fixtures for new ones. Doing so will enhance the visual appearance of the space and can make a big impact. You can change everything out from the sink faucet to the showerhead or even add new fixtures and features. Another simple upgrade would be to replace the old light fixtures for something new. The light fixtures you choose can also act as the focal point of the space, and if the room is dark, the right fixture can brighten up the space; this is especially helpful if the bathroom lacks natural sunlight. How old are the tub and shower in your bathroom? If you find that they are outdated, worn out, and fading, then replacing these in the bathroom can make a huge difference. If you don’t want to replace the entire tub and shower, you can also consider hiring a professional to come in and refinish them to fix any damage there may be. A properly refinished tub or shower can last for up to a decade before it will need to be looked at again. No matter what you choose to do to breathe new life into your bathroom, several smaller things can be done to transform the space in a short amount of time. From a fresh coat of paint to new bathroom cabinets and fixtures, you can take your ordinary space and turn it into something you will want to show off. If you are ready to start your bathroom renovation journey, contact us at Cardigan today to go over some of the options available to you.